Don’t forget to…build your strength and cross train. In my preparation for the 2nd RideLondon 100 in August I have obviously been putting in the kilometres to shed some weight, and as spring turns into summer then my rides will get longer. This is great and I am starting to see the benefits on and off the bike. If it was always plain sailing. Hang on when did sailing come into this, if it was all plain cycling is more to the point, even though it may not sound as good. The fact is that with my extending riding, a few niggles have started to appear. A annoying pain from the neck and shoulders moves down my arm. I can get rid of this with sitting up and moving my head etc, but there is a more serious reason why this pain is here, well possibly and probably two. Taking these in turn, starting with a poor posture, or riding technique if you will can be a difficult aspect of road cycling to iron out ones self. Unless you are able to ride with a reflection of your position on the bike you will need to get someone to check out your position when riding. When I do this I bye I will have a hunched back. If so this will be the cause of some of the pain and certainly a case of poor posture. I must remember to keep the back straight, relax and lower my shoulders which can be achieved by not gripping the life of the handlebars. This will be the main focus in my mind when I commute in the morning, as well as avoiding the other road users. I probably need to remind myself to ride with my neck out and not disappearing into my shoulders like a turtle. This morning in the gym I started work on the second possible cause. When your body completes the same type of training over a period of time other muscles may not get the required workout they need to be strong enough to help out. It’s been a long time since I’ve been in the gym and worked on some strength work. Seated row, pull down, sit ups and the plank have now been added to my Monday workout, as I am calling it, to build the strength in my back and core, again with the aim to reduce the pain of recent rides. I will find out in a few weeks, hopefully stronger. There is another option. Since I have had the bike, which is nearly a year now, I have changed shape. I have lost some weight and maybe the set up which I had last year needs some slight adjustment. I was fitted to the bike when I purchased it, so I am sure I won’t be far out, but maybe the seat isn’t at exactly the right height or position or there are some other small problems. The solution is another bike fit. I will try the other options first and if I get no joy here then I will have another fitting. Oh the joys of cycling and training to be ready for the biggest cycling day of my life come August. But it’ll be worth it, every pedal stroke of the way! This entry was posted in Cycling, Equipment, Ride London, Training and tagged back and neck pain, bike fit, building back and neck strength, fundrasing, poor posture, ridelondon, sue ryder, training. What I liked about the jacket was the fact you could detach the arms and then make it a Gillet. The large pocket at the back is big enough to store the arms and your essentials when out riding. The fit is snug which means I don’t get any flapping unless I am riding with it unzipped, and it does keep the wind off my torso which is what I hoped for. It is also certainly shower proof which is great, but I am yet to test this in the full on British wet weather. However I have a d2b jacket which keeps the rain out. I also doing it will keep me warm in the depths of winder but then again I would be riding in the other jacket in these conditions (or working on the indoor trainer). 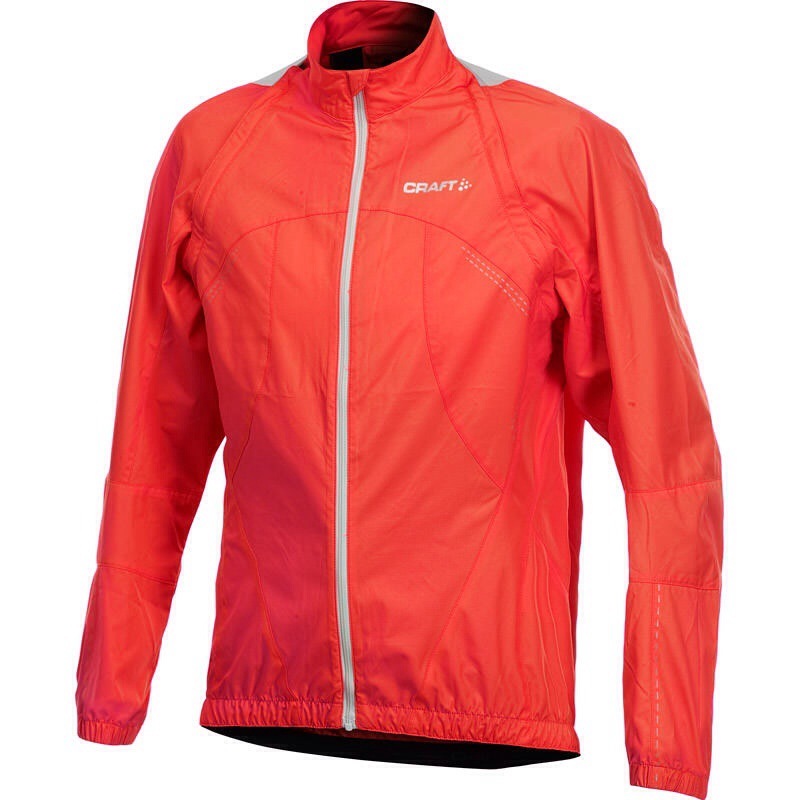 The jacket itself will easily roll up and fit I to the jersey pocket, so is ideal of those spring and autumn ride when the rain doesn’t know when to come or stay away. As I have mentioned before this jacket/gillet is good enough to keep the winds out which we get at these times of year. This is my first experience of the CRAFT brand and I have to say that I am impressed. After looking at some of their of their products and seeing the price tags I had an idea they could be good. So far so good. Now just to get out on the bike to test the jacket some more. This entry was posted in Cycling, Equipment, Sports (other), Training. Why I commute by bike. I am lucky in the sense that I work close to where I live and this gives three viable options to get to work. If I am meeting friends I can hop on the train and take the 30 minutes journey and feel sorry for the people who have to travel into London on a daily basis. Then there is the car, which I have to use when transporting anything big to/from work and more importantly to sheet my shirts in for the third and best option the cycle. In a strait line it is a nice 20 km commute so 40km in a day is a great way to lose the excess weight. With access to a warm shower when I arrive I can organise my time to have a relaxing shower and be ready for the days work. Then it’s a nice commute home knowing I’ve done my exercise. The great option is now I have been getting quicker I can now extend the commute to and from work and have a number of ways in and out which helps split up the boring same old ride day in day out. As I am training for Ride London later in the year the extra kilometres covered are all very useful in ensuring the training gets done and I am in the best shape possible come August. On a side issue my fundraising page for Ride London can be found here please leave a small donation as this will help the great work Sue Ryder Care do. The best part of being a cycling commuter is I have improved my fitness and in the process saved money on fuel costs. I hope my insurance will benefit from not driving as many miles when the renewal comes up, but we will see! As previously mentioned the commute is helping with the training at the moment which certainly helps when you commute 3-4 times a week which is where I hope to get to over the coming weeks. I have days when I feel good and depending upon the road conditions and traffic I am able to get a shift on and have a go at some of the segments on Strava, and other times I just fancy a nice present cycle to work. I am always on the look out for different routes to take, one to break up the commute plus the opportunity to get to see parts of the local area which you can’t when your driving past at 30 mph. There are some dislikes which every cyclist has, mine being the slippery road conditions when it has been raining, flat tyres are annoying but, reaching out to touch the wooden kitchen table my Gatorskins have done their job and I’ve not had one yet. You watch on the commute next week I’ll be half way with a big puncture. Just my luck! I don’t mind the cold, you can wrap up against that with the correct clothing, and riding in the sun is just lovely, although don’t forget your sun cream as you could easily burn in the sun, which won’t be comfortable for riding. So what do you need to get started, my tips! Check out your equipment regularly and if your new to cycling then either search out your local bike shop or learn the basis so you can maintain your bike. Helmet and lights along with a good pair of cycling shorts are ideal for the commute, especially in the mornings when the natural light isn’t at its best. Invest in a decent lock to ensure you can keep your pride and joy safe. Thankfully I work in a secure site but my lock is a nice heavy duty one which makes a potential their think twice. Spend more than you think you need especially if you are intending to leave your bike at the railway station. The stronger the better. And my last tip is join Strava! Just so you can keep track of your rides and progress. It’s great fun sharing your rides with other like minded people and seeing how you shape up. You’ll then get the bug, which acts a motivational tool to keep going. The benefits are a fitter you and potentially one which has a new more pounds (sterling) in your pocket (obviously if not in the UK then more of your own currency). What is stopping you. Go out and make 2104 your year to commute by by lice and feel the health benefits in the process. This entry was posted in Cycling, Equipment, Fundraising, Ride London, Training. Rule #7 // Tan lines should be cultivated and kept razor sharp. Under no circumstances should one be rolling up their sleeves or shorts in an effort to somehow diminish one’s tan lines. Sleeveless jerseys are under no circumstances to be employed. What a lovely day to be out on the bike. Sun shining, not much wind and no rain. The perfect weather to help with Rule #7 above. My tan lines in my arms are certainly visible and the job is to ensure they are cultivated and then kept razor sharp. 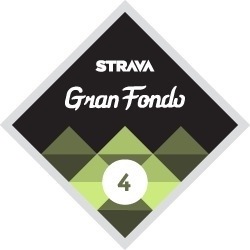 Today I set out on a challenge laid down by Strava and accepted my me to complete their Gran Fondo. This is to cycle 130km in one ride. These are easy when you take part in an organised event or sportive as you will easy find one to cover the distance. However I don’t have any of these events in April so it had to be done alone. So like the lone breakaway rider off I went into the sun. Starting in my own home county of Essex I soon entered one of the other Home Counties, Hertfordshire (a home county has a border with London for any international readers) but only briefly before I returned to Essex which is where the majority of today’s riding was completed. I visited many of the picturesque villages of the famous county and saw many of the cottages with me without thatched roofs and the distinctive pargeting and more importantly past many pubs which at the time were not open. At least this meant I had to carry on and forge ahead with the challenge. After 40km I decided to stop for an early lunch, just a meat sandwich from a well known fast food outlet which has green and yellow signs and who’s name is also a name for a tunnel under a road for pedestrians to use, or the underground system in the US. It was earlier than planned but thought I would take the opportunity to grab some food before the body started to suffer. Lunch down I continued on my way to a great effort. At the time of just finishing lunch I had no idea how I would feel or cope with the long ride, so the next stage of the route allowed the option of shooting home if required. However rule #5 is quite clear so the option of ducking home early was ignored and onward I went. Just me and my bike and the lovely English countryside for company. After 80km or so I entered the third county of the day. This one not a home county just one with a very famous University which isn’t Oxford. The light blues in the varsity boat race ( and all the other varsity sporting events I assume). This county again has very many picturesque villages but which are different from those of my own county. Those subtle differences make give the English countryside part of its charm and has done for hundreds of years. I knew at this stage that 100km was defiantly on and I decided I would reward myself with a stop of at a very small but excellent pub in the village of Newton. The Queens Head serves excellent real ales, Adnams was my choice today, and they serve a range of homemade sandwiches, which are great, but not for me today. On a bank holiday the Queens Head only serve platters, but the ham and beef are melt in your mouth good, especially washed down with a great tasting pint. My reward was short lived as I congratulated myself on getting past 100km but still had to get home, which was in another county. Cambridgeshire was lovely but Essex is where I needed to be. By this stage my legs were starting to feel the strain, but then one remembers rule #5 and carries on. I was also spurred on by the fact that I was roughly 30km from home which meant that I would complete the Strava challenge. Off I went to claim my badge, or so I thought. The home straight was a little frustrating. I was moving nicely between 28-32kph and very quickly I realised I was going to run out of road. There was no way I was going to stop just a few kilometres short of the challenge target. I needed to find a small extension to the route to ensure the badge was earned. I am not cycling all this way to miss out I muttered to myself. As I entered my village I looked down at the Garmin to see 126 km! Just 4 km short of the target and as I went past my house I was still 3km short. Luck would have it I knew of a short extension of 6km which would ensure I achieved my goal. So I dropped to the race position and pushed for one big last effort. I knew there would be no PB on any segments but this was now about the distance and forget the times, to a degree. The time was not in my initial thoughts but as I progressed it became more important, or should I say became more relevant. Whilst I passed my house I still had 3km left to ride I also wanted to complete the distance in under five hours. I needed to keep going at the best pace I could to ensure both goals were met. The joyous triumph was realised half way up the final climb of the day. The Garmin read 130.1km and I did let put a small cheer and yes! However I still had to get to the top of the hill to enjoy the ride down to home. This was to add a few more kilometres just to ensure I was awarded with the badge. Just think you complete the ride to 130km and Strava has a small fit and logs your ride at 128km or something just under the challenge distance! I have fallen fowl to this on a run, and have learned a valuable lesson. However this wasn’t to be the case as I still,had to roll down the hill. The final descent was lovely to get the speed up to ensure I complete the ride with an average moving speed of 27kph, which I am very happy with in a total time of 4:54:55! And my reward, apart from the improved fitness was this lovely badge from Strava plus the option to purchase the finishers jersey. We have just entered April and I don’t complete Ride London until 10th August, which still gives plenty of time for fundraising and training. However when downloading the new Virgin Money Giving app for the iPad it kindly reminded me how long I had left, in days and when you say this it doesn’t sound long. With this in mind the fundraising is going to need to be pushed and I can’t apologies for this. Without your help I cannot reach my target, which in turn will help Sue Ryder Care complete their excellent work in providing respite and care to people with a range of neurological conditions. My page is available here. Please have a look and I wonder who will be the first person to kick off my online campaign. Over the next week I will be organising car washes and cake sales to help me reach the fundraising target. At least I will know I will have done a lot of hard work on and off the bike before the main event come August. Please give what you can in order to help Sue Ryder Care continue the fantastic work they do for many people and their families. This entry was posted in Cycling, Fundraising, Training.